Abacus Consulting in partnership with the Center for Creative Leadership, bring this program for you to provide an entirely new pathway to grow your organizational leadership capabilities through Lead 4 Success. Whether you are looking to extend your current portfolio of internal leadership development programs or scale best-in-class leadership development initiatives, Abacus and the Center for Creative Leadership give you a successful leadership formula. Open enrollment program will help you find out how Lead 4 Success is beneficial for your organization. First time in Pakistan, Abacus & CCL offer you experiential learning to transform your leadership journey, at all leadership levels. With this strong foundation, we bring you tested leadership development practices to all leaders in your organization where ever you are. Why attend Lead 4 Success offered by Abacus in partnership with the Center for Creative Leadership? A high faculty-to-student ratio provides the individual attention that fosters customized development. Special activities and breakout sessions offer participants the chance to practice new behaviors while learning from their program peers. The power of 360-degree feedback combined with individual assessments offers a well-rounded picture of strengths, development needs, and leadership styles— frequently cited as the most valuable part of our programs. Development is a process—not a one-time event. CCL’s programs offer coaching sessions, webinars, white papers, and e-Learning to apply and sustain participants’ learning experience. A safe, confidential environment is created for candid sharing and the experimentation with new behaviors vital to development. Participants in open-enrollment programs interact with peers from other companies who face similar challenges. Definition of Leadership Identity: Seeking insight into who you are as a leader to whom and what surrounds you in present. Definition of Leadership Reputation: Understanding other’s perception of your behavior. 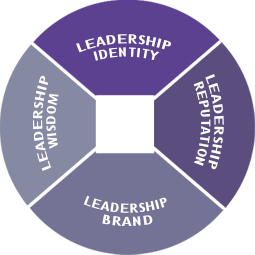 Definition of Leadership Brand: Defining what you aspire to be known as a leader. Definition of Leadership Wisdom: The result of reflecting on life experiences to uncover insights about who you are as a leader. Definition of Seeking: Willingness to immerse yourself in new and challenging situations that broaden and expand experiences. 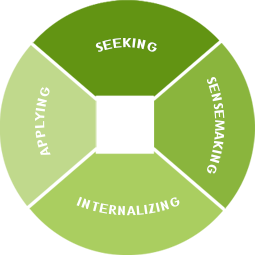 Definition of Sensemaking: Active process of curiosity and experimentation to gain insight and perspective. Definition of Internalizing: Seeking feedback and reflecting in order to embed critical lessons. Definition of Applying: Accessing principles and rules of thumb from previous experiences and using them to navigate new and challenging situations. 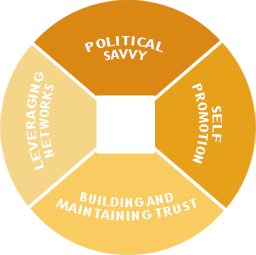 Definition of Political Savvy: Navigating the formal and informal parts of the organization effectively. Definition of Self-Promotion: Effectively get positive attention by standing out from others authentically and for the right reasons. Definition of Building and Maintaining Trust: Creating and keeping strong relationships with peers and other stakeholders based upon mutual respect and honesty. Definition of Leveraging Networks: Building and employing a set of connected relationships with people inside and outside of your organization upon whom you depend to accomplish your work. Definition of Active Listening: Participating in a conversation in a way that promotes deep understanding of meaning and context intended by others, and indicating understanding through communication. Definition of Gathering Feedback: Collecting information in response to actions you have taken or have shown others. Definition of Delivering feedback: Providing relevant and valuable information to others in response to actions they have taken or behavior they have demonstrated. Definition of Communicating Your Vision: Sharing your definition for achieving success with others in a way that is understandable and relevant to them. To support the learning process our programs are designed using the framework of CCL’s 3x3x3 Model™. Self-Awareness: How do I use the principles of self awareness to make conscious decisions about my leadership behavior? Influence: How do I increase my leadership influence by building trust and leadership networks to lead others? Learning Agility: How do I continuously seek, make sense of, internalize and apply lessons from a variety of resources? Communication: How do I use active listening, feedback and vision to provide sound direction, firm alignment, and dedicated commitment? Fatima Asad-Said, Regional Director, is an integral member of the top leadership at Abacus Consulting, a leading international professional services firm offering cutting edge technology, outsourcing and consulting solutions to clients across three continents. Her portfolio includes Corporate HR, PMO - Project Management functions, leading the Human Capital Solutions business and expertise in Leadership Development complemented by change management, organizational structuring and human capital development over the last 22 years. She also leads Abacus ELS (a subsidiary of AC) as CEO, and manages strategic alliances with global partners namely Mercer and Center for Creative Leadership (CCL). An MBA graduate from LUMS and post graduate diploma from LSE, she started her career with Coopers & Lybrand International and then PricewaterhouseCoopers. She is a certified master trainer from CCL, a top-ranking global provider of executive education. 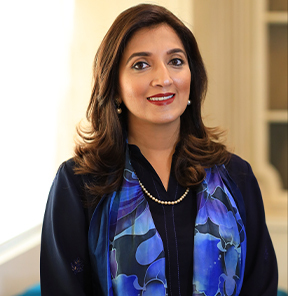 Her leadership journey at Abacus Consulting paved her way to become a prominent woman business leader, serving on the Boards of various organizations such as LUMS, Kashf Foundation and Kaarvan Crafts. She also serves as advisor to various boards, international associations, and entrepreneurial ventures like i2i (Invest to Innovate), PHCF and SHRM Pakistan. She also served as the President for the SDSB Luminites Association 2015-17. 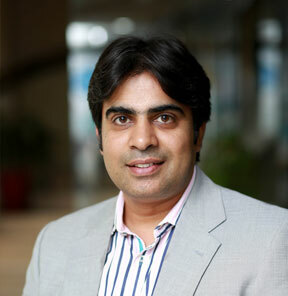 Muhammad Irfan Khan leads overall operations of Human Capital Solutions business. His expertise lies in providing in-depth analysis and solution design across a wide range of areas such as job evaluation, organization structure design, rewards program diagnosis, total rewards strategy, talent assessment, performance management and leadership development programs, in alignment with business requirements across multiple industries. Irfan has over fifteen years of experience and is working as a business leader for Human Capital Solutions practice area since 2015. Irfan has a Master of Human Resource Management from University of the Punjab, Lahore Pakistan. Irfan is a certified master trainer for Leadership development programs from Center for Creative Leadership (CCL), a financial times top ranked global leadership development organization. Irfan has also conducted multiple workshops on Job Evaluation, Human Capital Development, Total Rewards Advisory and Performance Management. Moreover, he has facilitated clients in developing capacity across these areas through knowledge transfer sessions. He is highly motivated professional with strong analytical, communication and interpersonal skills. His educational background and work experience have enabled him to develop organizational perspective from various angles, which is an asset for any human resource professional. His industry experience as an HR professional along with the consulting experience, for international and local clients provides him a competitive edge. Would you like to be included in the participants contact list? Your registration is subject to acceptance by Abacus. You will receive confirmation of acceptance (or rejection) and further details close to the scheduled Open Enrollment Program date. Confirmation of the Open Enrollment Programs proceeding is dependent on the enrollments. The program fee covers tuition, documentation,course material, lunches, refreshments and certificates. Participants are responsible for their own travel, accommodation and out of pocket expenses. You may nominate a substitute to take your place at any time before start of the program. Total Fee is exclusive of all taxes. No-show on the day of the Open Enrollment Program will not be refunded. Abacus reserves the right to change the date or change/cancel any part of its published program due to unforeseen circumstances. Payment must be received in full before the start of the program. An invoice will be sent upon receipt of a registration form. I have read and understood the confirmation and cancellation policy. 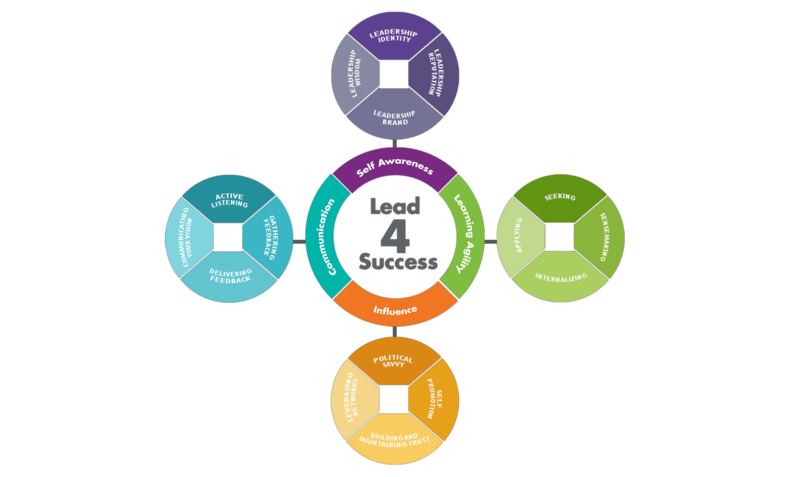 Lead 4 Success Leadership Journey App is an online tool based on the research and real world experiences which will help you succeed in the transition to be an effective leader. 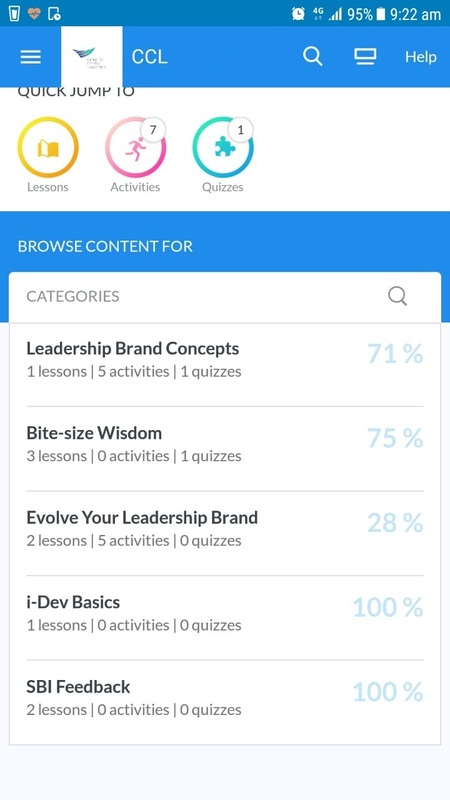 Through Bite-Size Learning, this App helps you to apply what you have learned in the two days workshop, over 4 months. Actionable – Tips, tools & tactics to transform an individual contributor to a leader. 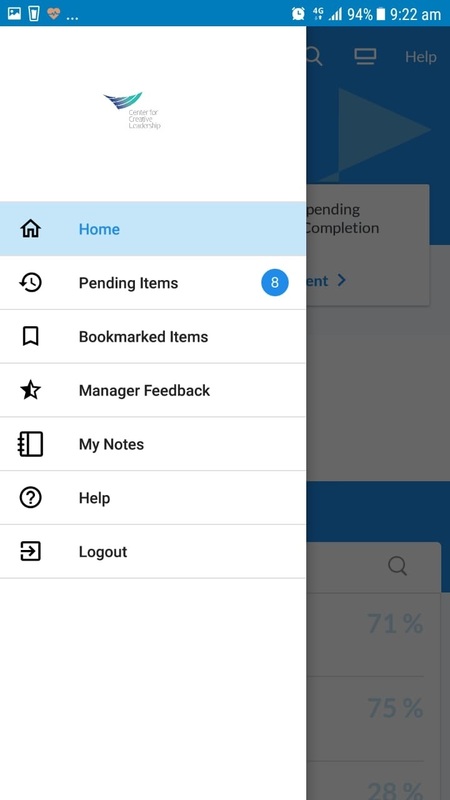 What is included in this App? Complete and submit this registration form online or download this form and email, fax or courier us after completion.